Dana Narvaisa (@dana_narvaisa) in Latvia recommends three fundamental elements to foster acceptance and collaboration, namely: "ensuring a diverse environment (and leading by example), working with both sides of conflict, and inventing your own celebrations and feasts." Read More. Diversity in US schools is not increasing, writes Todd Finley (@finleyt) -- "it's exploding!" Todd believes "the skills for developing esprit de corp can be--and should be--learned." He shares 3 ways to "make a diverse class act like a team." Read More. "If tolerance is to be sustainable and cooperation meaningful, writes Miriam Mason-Sesay (@EducAidSL), it has to be based on how much we have in common as members of the human family, rather than emphasizing our differences." The challenge in Miriam's community is not as much about getting students to respect foreigners but about helping them "resist the inclination to see all that is foreign as better than all that is Sierra Leonean." Read More. "Human beings are cautious or even up-front reluctant about whatever is unknown or different. Including other people," writes Elisa Guerra (@ElisaGuerraCruz) from Mexico; "The first step to accept and embrace diversity is knowledge." Read more about Elisa's solutions. Five years ago, Craig Kemp (@mrkempnz) moved from a small town of 50,000 people to start his international teaching career in Singapore, a melting pot of over 5 million people. So what's his answer to our question, given his personal exposure to diverse cultures, languages, and beliefs, not to mention learning styles? "Create a positive and accepting class culture!" Here are Craig's top 6 tips for doing that. Read More. "No two people are alike in all respects," writes Rashmi Kathuria (@rashkath) in India, who believes that school education is a vital part of creating global citizens and that teachers should try "to bridge the gaps in the society." 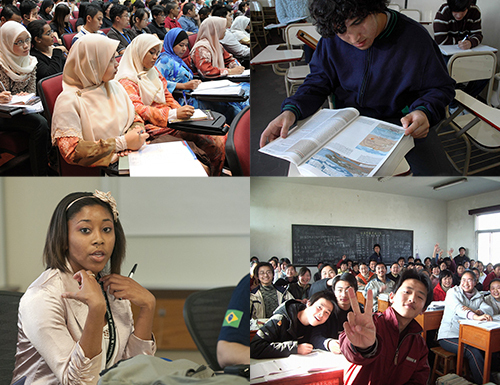 Rashmi shares her practical "ways to help students accept diversity around them." Read More. "In a society that believes in the validity of its own opinions," Pauline Hawkins (@PaulineDHawkins) writes about the importance of teaching children the difference between opinions and facts. "It is only through patience and informed discussions that we can help our children/students open their eyes to the biases that have formed those weightless, negative opinions." Read More. Richard Wells (@EduWells) in New Zealand writes about the importance of "eliminating issues around race, culture and tolerance" and the "systematic and multi-faceted" new initiatives his country's education system has launched to do that. Richard is the author of A Learner's Paradise: How New Zealand is Reimagining Education. Read More. (@steineredtech) believes a school's strength is often derived from its diversity and that "technology can play a key role." Adam shares 5 ways to ensure that your school's digital conversion doesn't leave some students behind. Read More. Maarit Rossi (@pathstomath) writes about the world citizens program created by the Finnish Ministry of Education which Finnish teachers use as a Framework in their practice. We need "courage and small acts," writes Maarit, who shares many examples of this from classrooms all over Finland. Read More. 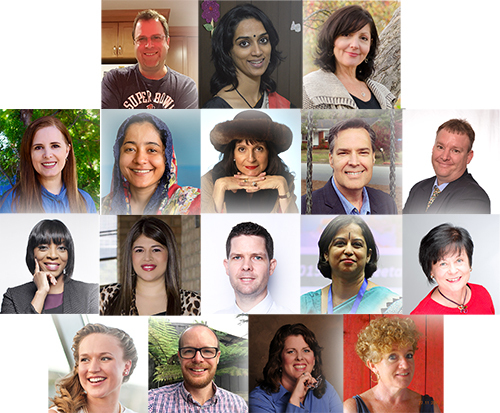 The Top Global Teacher Bloggers is a monthly series where educators across the globe offer experienced yet unique takes on today's most important topics. CMRubinWorld utilizes the platform to propagate the voices of the most indispensable people of our learning institutions, teachers.